SALT LAKE CITY — On July 6, 2015, insurance agent Brent Hilton was sentenced to serve 1 to 15 years in prison and was taken into custody from the Third District Court in West Jordan. 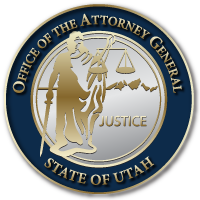 Hilton was charged through the Utah Attorney General’s Office as a result of a lengthy investigation conducted by criminal investigators with the State of Utah Insurance Department Fraud Division and the State of Utah Tax Commission. Hilton pled guilty to one count of “Pattern of Unlawful Activity” and four counts of “Unlawful Dealing with Property by a Fiduciary” — all second degree felonies. While working for Bennion Taylor Insurance Agency, Hilton admitted to improperly converting money from agency trust funds to his own personal use without the agency’s knowledge. No policy holders were affected. Hilton was ordered to pay $1,377,546 in restitution and $3,000 toward the cost of the investigation to the Insurance Fraud Division. Hilton also agreed to pay $154,389 to the Utah State Tax Commission for tax liability and assessments. The Utah Insurance Department is also taking administrative action to revoke Hilton’s insurance producer license. As a result of Hilton’s conviction, he will not be allowed to work in the insurance industry again.